Glucosinolates are a family of approximately 140 N- and S-containing secondary metabolites characteristic of Brassicaceae that are important for plant defense and are beneficial for human health. Which glucosinolates are produced by a given species and their amounts in different plant organs are genetically determined and modulated by external factors. Adding to the complexity, glucosinolates are hydrolysed to different breakdown products upon tissue damage by mechanical injury or pest/pathogen attack, and a turnover in intact plants probably also occurs. 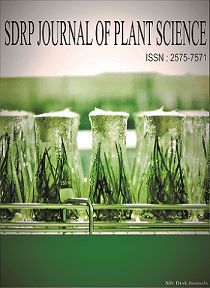 The biosynthesis and hydrolysis of glucosinolates have been extensively studied in the model plant Arabidopsis thaliana. The major steps of these pathways have been characterized and several key MYB and bHLH transcription factors regulating the biosynthesis of glucosinolates have been identified. The effect of plant hormones such as jasmonic acid, salicylic acid and more recently brassinosteroids, on glucosinolate levels has also been documented. Pest and pathogen attacks as well as abiotic factors such as temperature, light, drought, and nutrient availability also trigger changes in glucosinolate composition and quantity. Several aspects of the regulatory mechanisms remain however to be deciphered. While transcriptions factors that regulate glucosinolate biosynthesis have been characterized and these indirectly affect the nature of the breakdown products that can be formed, no factors directly regulating the steps of glucosinolate hydrolysis have yet been identified. Furthermore, the roles of other regulatory mechanisms such as epigenetics or protein post translational modifications in glucosinolate metabolism and hydrolysis are largely unknown. How glucosinolates and other metabolic pathways cross-talk is another aspect that merits further investigations. Also, while Arabidopsis has been instrumental in understanding glucosinolates, our knowledge of the glucosinolate-myrosinase system in other Brassicaceae species, including many important crops, remains sketchy. Knowing the factors that regulate glucosinolate biosynthesis/hydrolysis and understanding the underlying mechanisms is important because of the role of these metabolites in plant defense and human health. A more detailed understanding will allow us to predict the effect of environmental changes on glucosinolates and their breakdown products, and the resulting impact on plant defense. It might also facilitate the design and breeding of crops with glucosinolate profiles that provide good defense characteristics for crop plants against pathogens and pests while providing the compounds with the best health benefits for humans. - Regulation by transcription factors, epigenetic mechanisms and post translational modifications. - Mechanistic insights into enzyme functions. - Effects of abiotic and biotic factors on glucosinolate biosynthesis and/or hydrolysis. - Cross-talk with hormones and biosynthetic pathways. - Studies in non-model Brassicaceae (crop) species.